The San Francisco Volcanic Field is located on the Colorado Plateau in northern Arizona. The major stratovolcano in the volcanic field is San Francisco Mountain. Cinder debris, black pea-sized frothy lava from these once-active volcanoes, covered the surrounding sedimentary rock surface during the Quaternary period. In the 1960s, NASA wanted to train the astronauts in geology. The Astrogeology branch of the United States Geological Survey (USGS) in Flagstaff chose northern Arizona because its geological formations were thought to be similar to those on the moon. The Cinder Lake crater field was specifically chosen for the creation of a realistic lunar-like landscape. 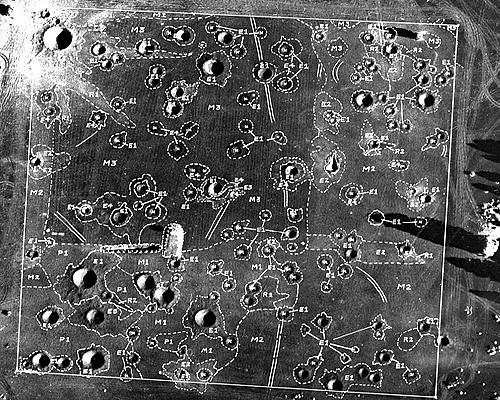 In 1967, NASA completed the first phase of its lunar analog crater field with a 500 square-foot area designed to duplicate a section of Mare Tranquillitatis, a potential Apollo 11 lunar landing site that was captured in images from Lunar Orbiter II. 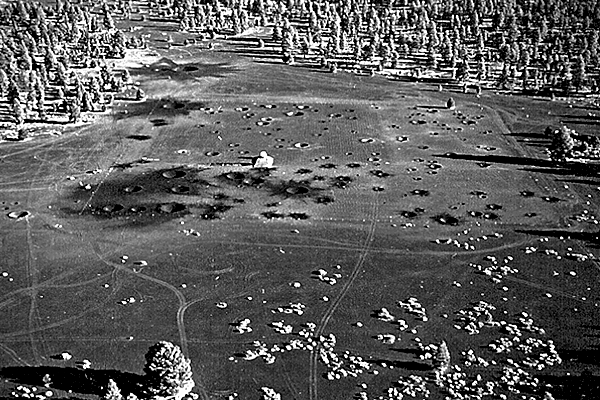 The Cinder Lake field initially contained 47 craters with diameters of 5 to 40 feet. 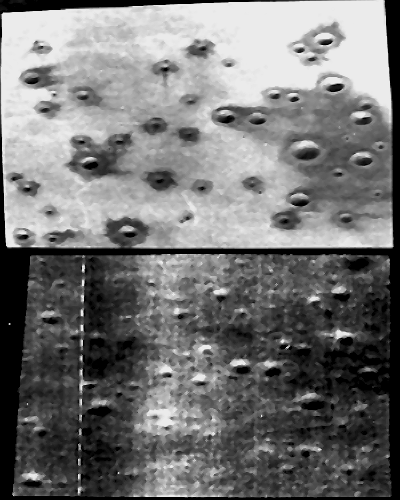 It was expanded later that year to an 800 square-foot field with 143 craters total. Over 300 pounds of dynamite and over 13,000 pounds of ammonium nitrate were used to blast the craters from the black lightweight cinder debris. Cinder Lake Crater Field #1 was used to help train astronauts on identifying craters and on determining their location in a lunar landscape. The astronauts also practiced using geologic hand tools and testing scientific experiment packages and various lunar vehicle prototypes. A simulated Apollo lunar module ascent stage was also constructed and placed on a ramp to give it the appropriate height off the lunar analog surface. 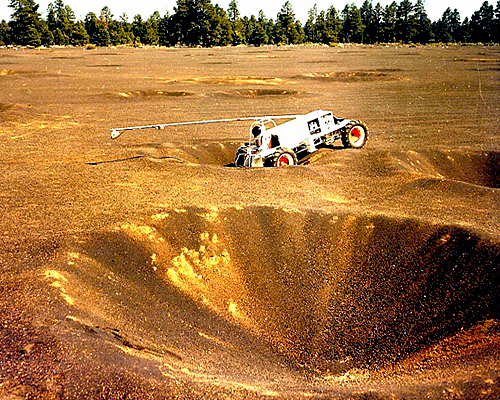 In the second phase, NASA decided to build a larger 1,200 square-foot test field with 354 craters just north of Cinder Lake Crater Field #1. The new location was selected because the dark basaltic cinder over there covered the lighter clay beds, so that blasting craters would create distinctive light-colored ejecta, including crater rays.